Scenic 61 is ‘old Highway 61’ and runs from eastern Duluth to the western edge of Two Harbors, right along Lake Superior. For Scenic 61 lodging, you will find a number of mom-and-pop resorts with about a dozen cabins, a full-service resort and an inn. 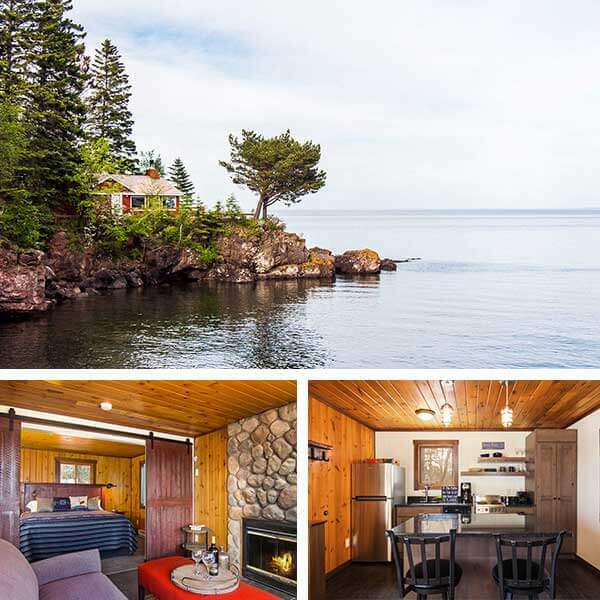 Scenic 61 is a ideal if you want to be on Lake Superior and near Duluth with a quieter feel. 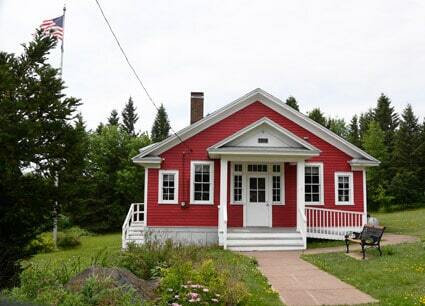 Inspired by traditional Scandinavian fishing villages, our North Shore cottages are tucked away in 40 acres of private woods, south of Two Harbors, MN, with 1,300 feet of Lake Superior beachfront shoreline. Our finely crafted cottages have exquisite interior design, highlighting the unique qualities of Lake Superior’s incredible North Shore. Larsmont is a pet-free resort. Twelve pristine cabins. Timeless setting. Conceived in the 1930s’ and perched on the famously picturesque outcropping of Precambrian rock. Every sense agog as the jeweled, ever-dramatic waters of Lake Superior whisper, sing or howl the songs of the planet’s greatest lake. Surround yourself with year-round hospitality. 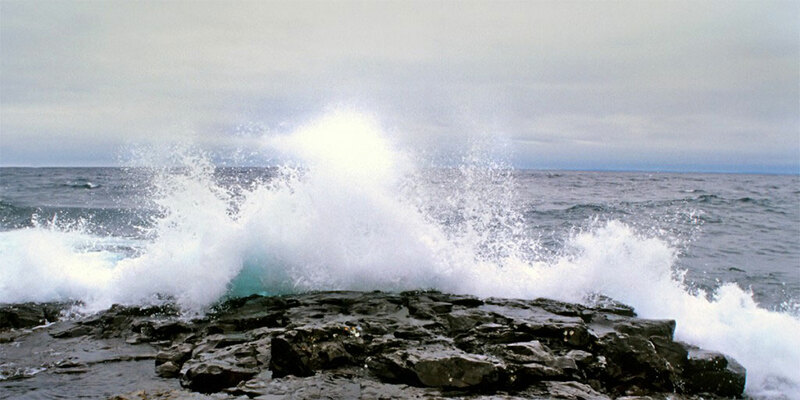 We guarantee the beauty and mystique of “Gitche Gumee,” the Native American name for Lake Superior, will refresh your spirit. Unwind in themed stress-free suites or in a private cottage – all creatively decorated with handcrafted woodwork, nature accents and hand-pieced quilts. All the comforts of home are included –TV/DVD, charcoal grills, microwave, refrigerator, phone, wireless Internet, air-conditioning, private bath with tub and shower, ample linens, and either a deck or balcony overlooking three-season gardens, playground and bonfire pit. Overlooks Lake Superior; six side-by-side cabins offering lakeview rooms to two-bedrooms cabins; simple, clean, reasonable and nice; some cabins have fireplaces. 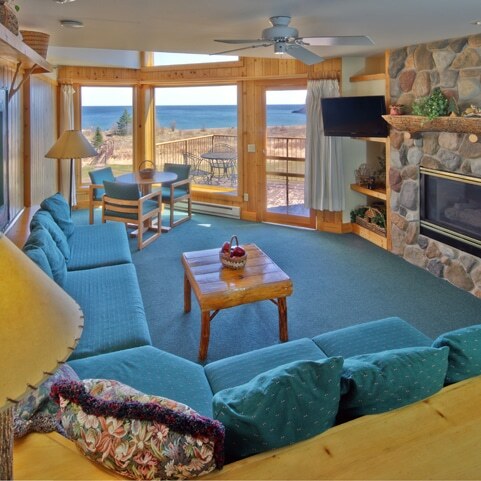 Fabulous Lake Superior views from clean updated rooms. 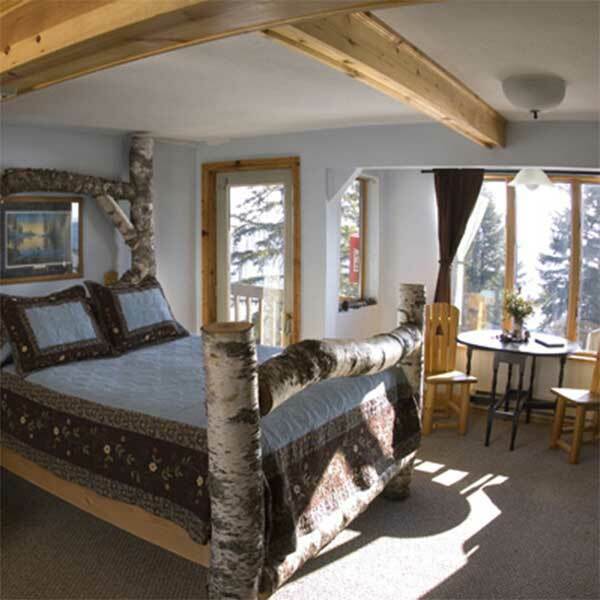 Mini-suites with kitchens and 1- or 2-bedrooms available nightly, weekly or monthly. Food, liquor, wine and accommodations at one great place! Family restaurant, separate bar and nine motel rooms; reasonable and clean. 1 mile south of Two Harbors. Quaint, cheery cabins; spotlessly clean; a wonderful quiet retreat; 1,000 feet of rocky shoreline; no smoking. Open May – October. Exceptionally clean motel and cabin with wonderful lake views; gas grills, campfires, playground; open May – October. Wonderful reviews from our guests! A secluded 4 season resort on the shore of Lake Superior nestled in tall pine, spruce and birch trees. Our very clean and comfortable housekeeping cabins (cleaned with non-toxic products) are located on an easily accessible rock shoreline. A quiet family resort overlooking Lake Superior; four motel rooms (one with a whirlpool) 11 suites with kitchens and some fireplaces and a duplex cabin; heated outdoor pool; sauna; volleyball, badminton and play area; gift shop. Thirteen cabins, some with Lake Superior views and four motel rooms, all with kitchenettes; play area; picnic tables and grills. Located next door to the McQuade Harbor. A great little hillside resort overlooking Lake Superior. Ten one- and two-bedroom clean and cozy cabins a short walk to the deli, smoked fish shops, lakeshore and marina.